Apollo Medical opened in January 2005. Originally our vision was to offer extended hours general practice services to our enrolled patients. long time worked alongside in a reasonably harmonious way. 2017/2018 has seen changes to the health environment in which we now find ourselves working. As an organisation Apollo Medical remains totally committed to being the best general practice service it can be. To do this to our very best ability Apollo Medical has decided to cease being an urgent care facility. What does this mean for you - our patients? Our general practitioners and their teams will be more available to you for booked consultations. 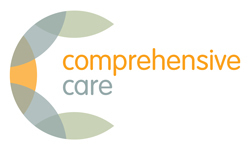 First and foremost our practice seeks to provide continuity of care with your chosen GP. To enable this there will be a transfer of resources currently used in providing urgent care services, back into the general practice service. This will allow Apollo Medical to provide an enhanced general practice service to our enrolled patients and their families. There will be extended hours of service; with appointments Monday – Thursday (730am- 630pm), Friday (730am-530pm), as well as Saturday morning ‘on the day' appointments (830am-1230pm). Apollo Medical has listened to you - our patients – noting clearly your desire for more appointment availability with your chosen general practitioner. We hope you will be excited about our ‘new and improved' service and welcome your feedback as we move along our journey of delivering the very best health care to you. "You matter, we make it happen"